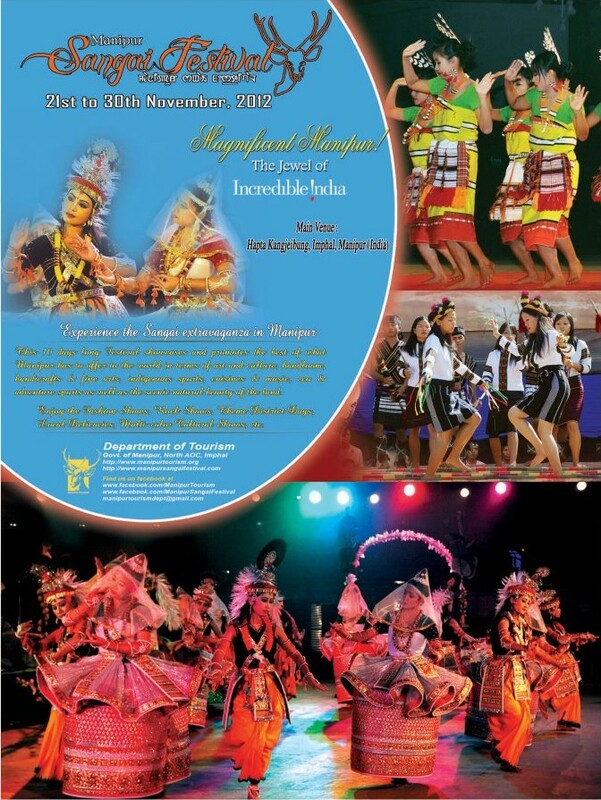 We are delighted to inform you that the 'Manipur Sangai Festival 2012' is going to be held from 21st till the 30th of November at Imphal. It is a State level festival organized by the Government of Manipur and spearheaded by its Tourism Department. The news-point regarding this festival, to our understanding, is that it is the only state level festival in India wherein most of the South-East Asian countries such as Thailand, Laos, Myanmar, Nepal, Korea and Singapore, besides the North-Eastern Asian countries and other states of India participate each year.